Placing a high value on smarts sometimes masquerades for having a low view of tenacity. Little known Francs Peak carries many accolades. 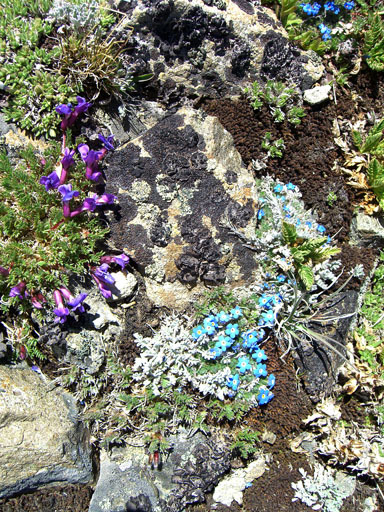 It is the highest peak in northern Wyoming’s Absaroka Range, which many climbers have never heard of. 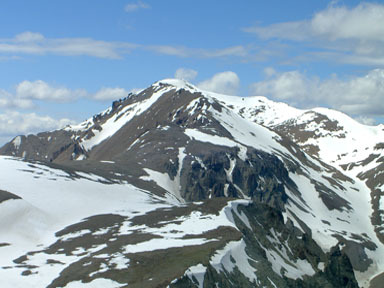 The Absaroka (pronounced Ab-SOOR-ka) Range rambles east from Yellowstone National Park, and Francs Peak is one of only four thirteeners in Wyoming that is not in the Wind River Range. 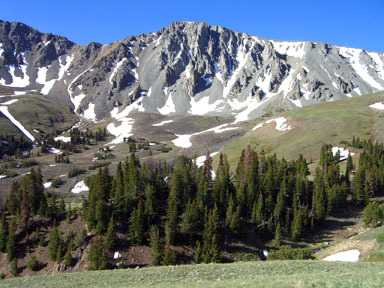 Francs Peak is also the highest peak in Park County, and is one of the 50 highest county summits in the 48 contiguious states. 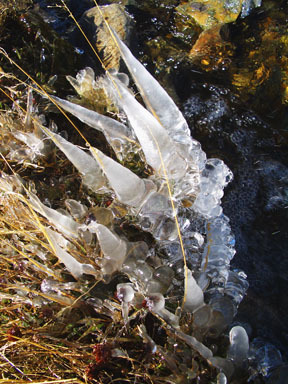 With over 4,000 feet of prominence, Francs is one of Wyoming’s most prominent peaks. 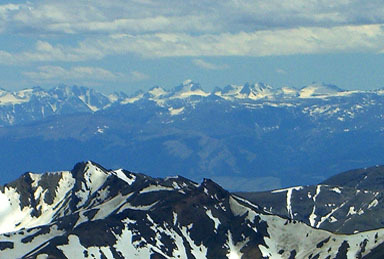 From the summit, you can see the Tetons, Gannett, Wyoming’s highest peak, and Granite, Montana’s highest peak. Only two miles to go! 1 PM - We reached the highest benchmark in the Absarokas! This is not the shortest or easiest route up Francs Peak, but it has evolved as the standard route due to its easy access. 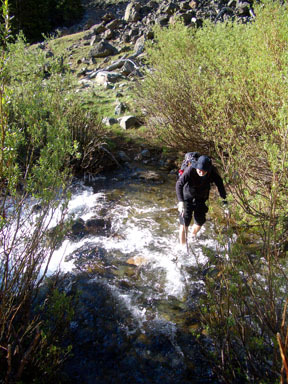 A one-day ascent of this route is a project for the fit, and some choose to backpack up into the beautiful Meadow Creek Basin. 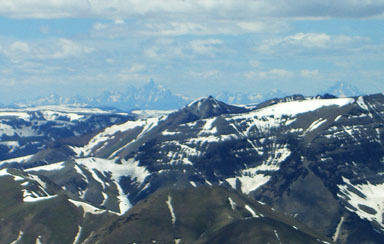 Grizzly Bears live in this area and several parties have reported seeing them. Take appropriate precautions. 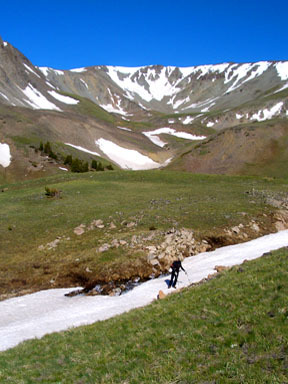 Start at the Meadow Creek Trailhead at 8,380 feet, where you immediately have a choice. 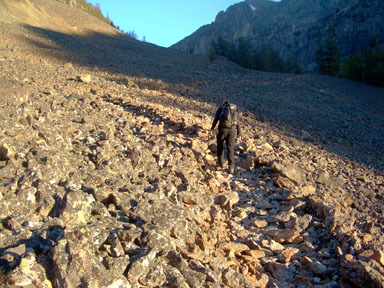 The obvious choice is to follow the marked Meadow Creek Trail, but you will quickly discover that its initial switchbacks are badly littered with fallen logs. To avoid these logs, go east down the road for 300 yards, bushwhack straight north into the trees, find a hidden use trail, and follow it up along a small ridge above the west side of Meadow Creek. The use trail soon meets a switchback on the main trail, and you can follow either trail from this point. 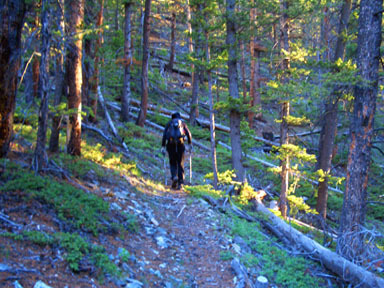 The use trail is shorter and steeper and ends where the main trail swings east to enter the Meadow Creek valley. 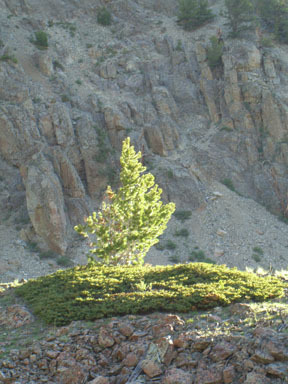 Hike north to Point 12,260 where you can revel or revolt at the sight of Francs Peak still 2.5 miles away. 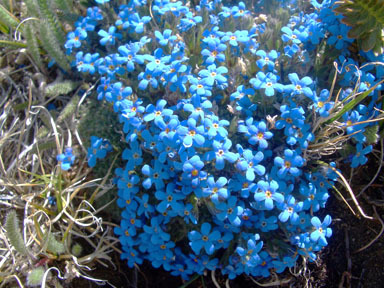 Take heart, since the terrain is very easy, and you can stride along. 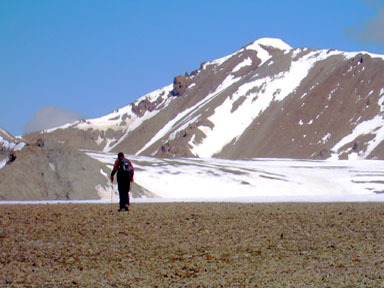 Descend 200 feet north to a broad saddle area at 12,000 feet. 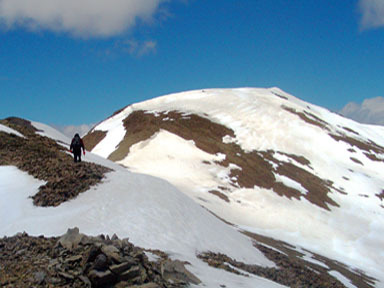 Continue north for another mile up gentle terrain to reach the base of the upper peak at 12,400. 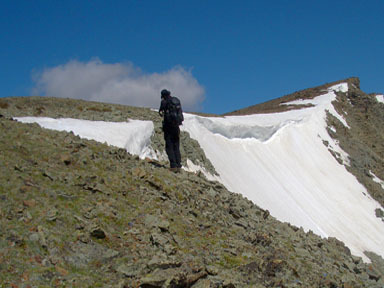 Climb the increasingly interesting summit ridge over several small false summits. 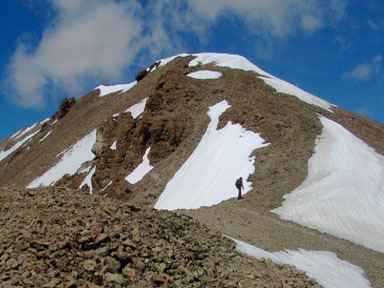 The main summit is the farthest bump to the north, beyond which you will look steeply down the peak’s northern ramparts to grass benches far below. 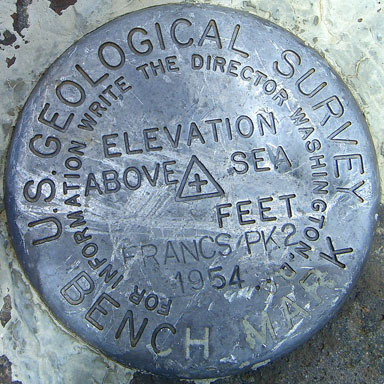 Either going to or descending from the main summit, take the time to visit Francs’ 12,436-foot southwestern summit. Yes, this effort will make your long day longer, but this summit offers a great view of Francs Peak. If you haven’t spotted it yet, look west for the Grand Teton. For a better view, bring binoculars.